Who Was Botticelli's Famous Venus? Born in Florence, Italy in 1445, little is known of the life of Sandro Botticelli. Perhaps even less is known about one of is most famous paintings 'La Nascita di Venere, The Birth of Venus', which is displayed today at the Uffizi Gallery in Florence. 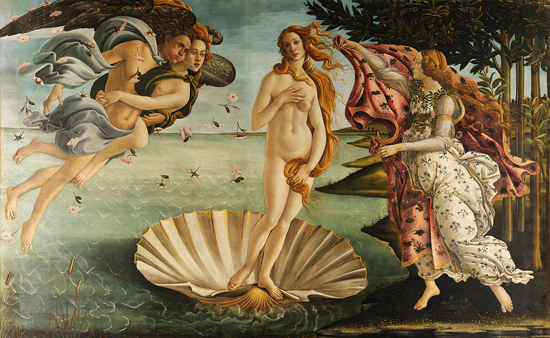 The painting depicts a vision of Venus, the goddess of love, emerging naked from the sea as a fully grown woman standing in a scallop shell on the seashore. This sublime fantasy has been admired throughout the years for its themes of love, beauty and spirituality. One of the mysteries of the painting, commissioned by a wealthy Florentine family, was who the self-titled Venus was that Botticelli depicted so well. Belonging to the ‘golden age’ of the Early Renaissance, Botticelli is believed to have trained as a goldsmith, before becoming a painter. Botticelli never married, but history suggests that he held an unrequited love for a Florentine women, Simonetta Vespucci. She was a married noble woman, said to have a mesmerising beauty and was known as la bella Simonetta. 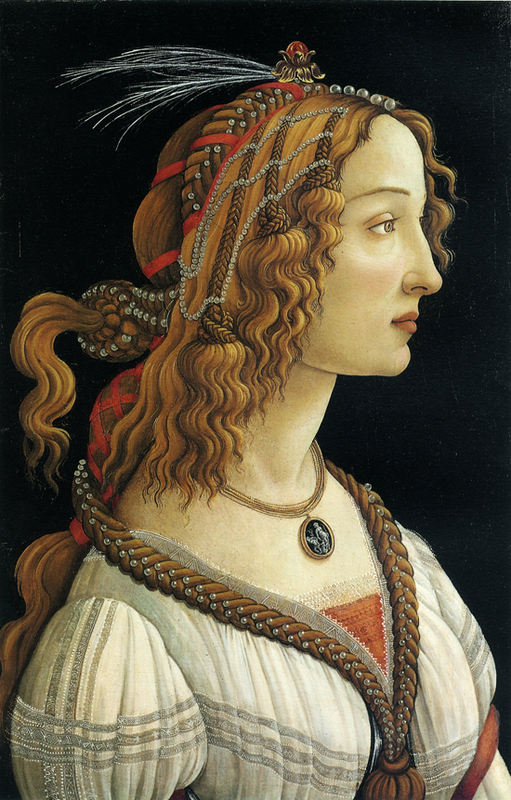 The Ideal Portrait of a Woman is a slightly lesser known, but equally favourite work by Botticelli. He painted this piece between 1480-85 and it depicts a women with quintessential Italian Renaissance attributes. With pale skin, an extended neckline, voluptuous long red hair, she is shown here in an elegant profile. 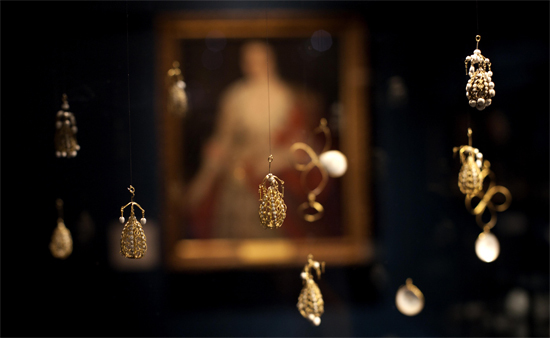 The women is wearing a white robe in fashion at the time, which is adorned with natural pearls. The pretty gemstones in strings are woven into the plaits of her hair and into a braid that runs down into her breast. The painting is sharp and precise. 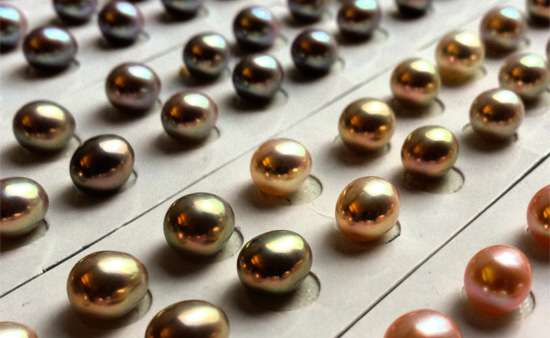 The pearls shine on the painting, perhaps a nod to Botticelli's earlier training as a goldsmith and his eye for jewellery. Centuries later, experts are still debating who the beautiful woman of Botticelli's Ideal Portrait may have been. A nymph perhaps, a goddess or a courtesan? Or Simonetta Vespucci? In the late nineteeth century, the German art historian Aby Warburg deepened the mystery, suggesting that Botticelli’s Venus was also Simonetta Vespucci. The resemblance is striking. The provenance of both paintings is also well known as both were commissioned by members of the Medici family. Although Simonetta Vespucci had died in 1476, some years before both paintings were completed, Botticelli had not forgotten his muse. When he died, Botticelli requested to be buried at her feet, a wish that was carried out in 1510 when he passed away. We may never be sure. But it could be that the inspiration for both Botticelli's Venus and this mysterious Florentine woman was one and the same. His Ideal Portrait may be literally just that - a portrait of his ideal woman, la bella Simonetta.